You guys, it has seriously been summer weather here in San Francisco! I wish it was like this all the time. For those of you who live in climates where you can actually sit outside on a warm summer evening and be totally comfortable, I envy you. The only good thing is that when we do have beautiful, warm summery weather like this, I appreciate more than anyone else not living in SF! It is usually too cold every evening here to sit outside and enjoy the sunset in a tank top, shorts and flip flops. We are taking advantage of this beautiful warm weather in February by strolling outside often, and of course eating ice cream. Not just any ice cream, though. HEALTHY ice cream. Actually, it isn’t even ice cream at all, but you wouldn’t know it unless I told you! Have you heard of NICE cream? It is just like ice cream, but healthy. The secret is that it is only made with frozen bananas and a little milk. After you flavor it, you can’t even taste the bananas. It is crazy! 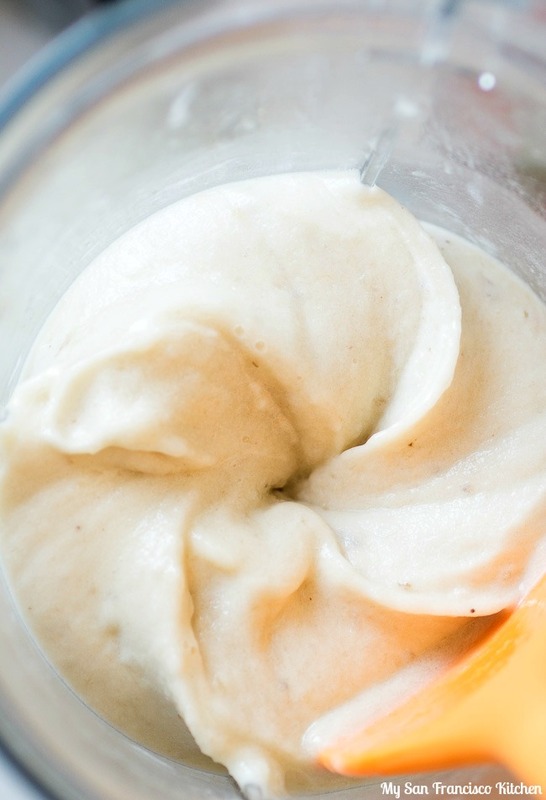 Once you try nice cream, you will never want ice cream again. Don’t you just love desserts that taste great and are great for you?! Win Win. 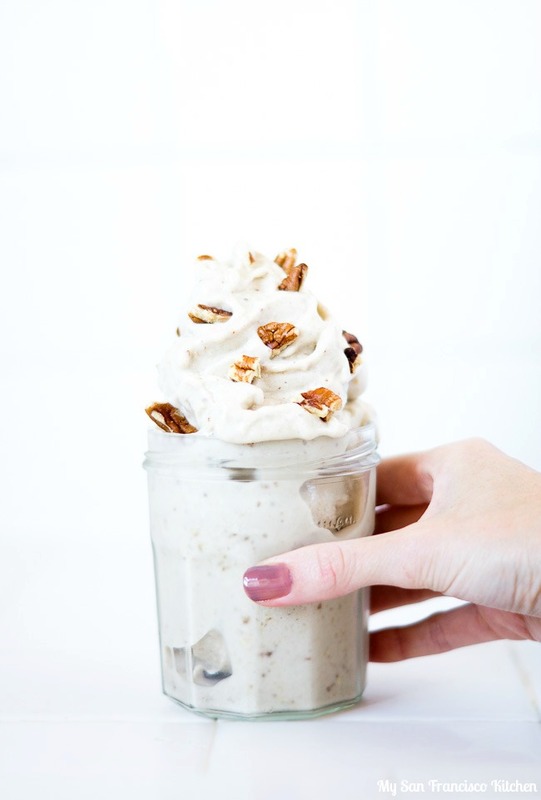 I recently made this maple pecan nice cream, using only frozen bananas, maple syrup and chopped pecans. I’m happy it was healthy, because I ate so much of it! Nice cream is one of the greatest inventions ever. TRY IT! 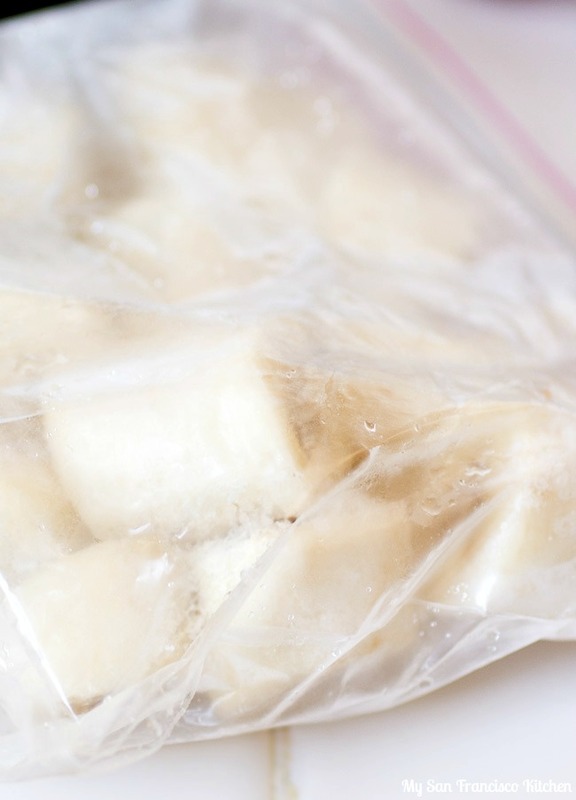 Add the frozen bananas and milk to a blender and pulse until super creamy. Add more milk if needed, but not too much or the consistency will be too runny. Add the maple syrup and 2 tbsp pecans and pulse a few times. Pour into a dessert glass and top with remaining pecans. Check out this recipe on the Magic Bullet Blog! This entry was posted in Dessert and tagged banana, healthy, ice cream, pecan. I cannot wait for ice cream (or nice cream!) weather. I love your guilt free treat!!! I will happily take some summer weather as well as this amazing ice cream. It looks crazy yummy and creamy!